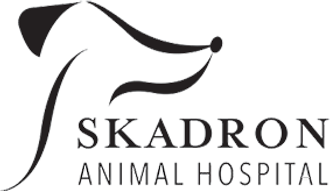 Skadron Animal Hospital is a full-service AAHA certified veterinary medical facility, located in W. St. Paul, MN. We are here to help your animals stay healthy, giving each of them individualized care to maintain their well-being. When we opened our doors over 50 years ago, our mission was simple: to provide outstanding health care to our patients, superior services to our clients and a strong commitment to quality education. We offer a wide range of top-notch veterinary services for a variety of domestic animals- from cats and dogs to rabbits, birds, rodents and reptiles. Each of our professionally trained veterinarians keeps current with continuing education. We also have skilled certified veterinary technicians and assistants who are all professionally trained and participate in continuing education opportunities as well. Everyone on our staff has a deep love for animals and is deeply committed to providing high-quality service and care.